"Lack of depth and maturity in the worldwide church is a major problem. Very few Christians really know their Bibles well and can apply the Word to their daily lives. Few really live as "salt and light" in a dark world. Most make little impact for the Kingdom or know how to share their faith simply and in such a way that people want to listen. Sadly many are not even aware their Christian lives could be any different and so they live frustrated. Could it be that we have failed to follow what Jesus commanded? His very last command before he returned to heaven was very simple "Go and make disciples of all nations, baptising them in the name of the Father, Son and Spirit and teaching them all I've commanded you. And surely I am with you even to the end of the age" (Matt. 28:18-20). A person's last words before they die or leave should be important and Jesus certainly wasn't going to waste the opportunity when his disciples were listening so intently... Make disciples - Jesus knew that if his disciples did that, then all else that might be necessary would follow on. 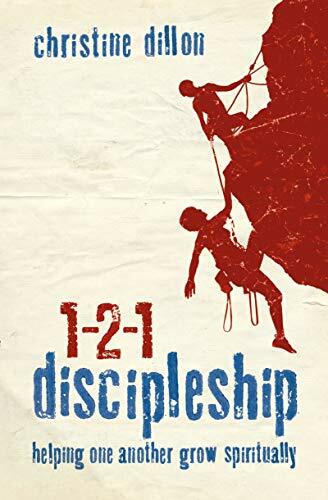 If we get the discipling part right then the church will grow and the church can become wide AND deep, giving life and refreshment instead of only disappointment and frustration. Christine Dillon is a missionary with OMF in Taiwan where she is involved in discipling and training churches. She says ‘Please also pray as you go, that God will use you for his glory to disciple others’.